Older 4x4 Diesel Motors may be a good option. Older Diesel Motors For Off-Road. 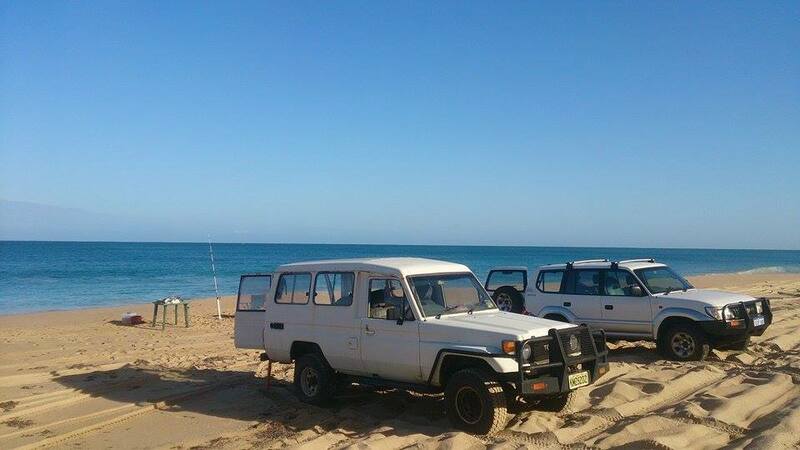 Since then though, I have owned a couple diesel motors 4x4’s and driven quite a few others. Clearly, my perspective has changed. In many ways, I find people have a similar attitude toward using older diesel engines in their 4x4’s. The inevitable question of “Why in the world would you…?” is quickly brought up. Don’t get me wrong; I understand the confusion that these people feel. 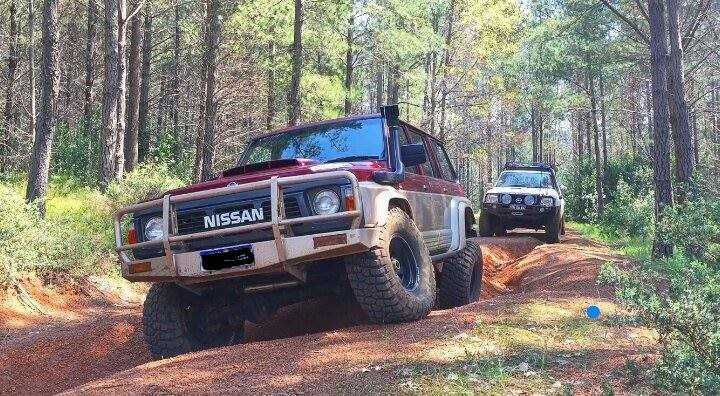 If it had not been due to a few specific needs, and limited options, I probably would have never realized how awesome older diesel engines are for off-road uses. Brad Veale's GQ Photo by Luke Holt. So, here are a few reasons why I find older diesel motor swaps and older factory diesel motor 4x4’s to be a good option. Please understand though, I am not trying to pass them off as a perfect solution. I just consider them to be a really solid option. 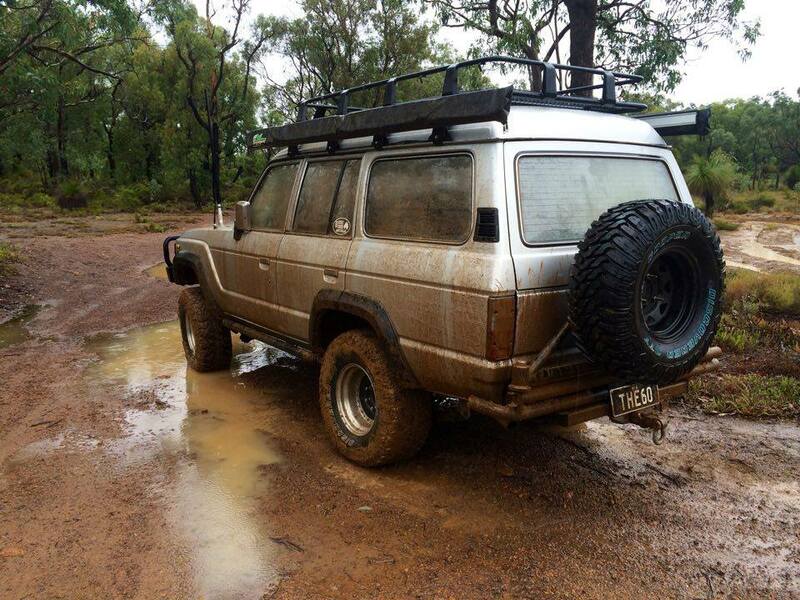 Declan Berry's 1989 GQ patrol. Even though you will not get the same fuel economy out of an older diesel that you will from a newer one, the initial buy in cost is considerably cheaper for these older 4x4’s. Finding good condition used parts, or even new aftermarket parts are also much easier and generally more cost effective as well. Reliability In Old Diesel Motors. These older diesel rigs are pretty well known for being bullet proof. Yes, they can fail if not cared for, or if not maintained properly, and yes…there are a few “lemons” out there. These are relatively few though. I have heard, many a story, of older diesel engines being run without proper oil, fuel, or airflow for some time without causing severe damage. Even in less than optimal running conditions, many of these diesels have safely carried their passengers back to civilization. If you want, or need, to do an engine swap, then an older diesel motor may be the option for you. 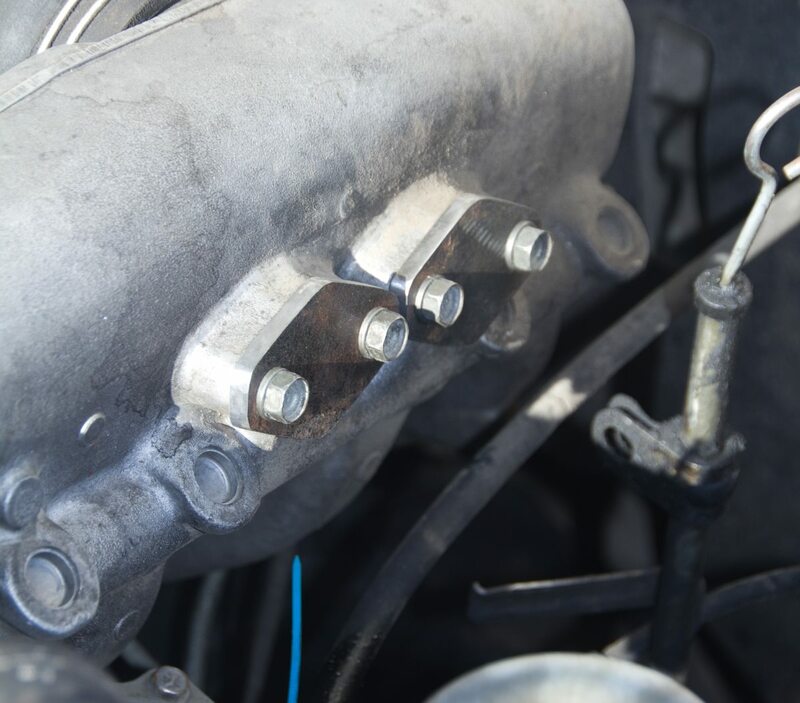 Other than being a bit larger than newer diesel engine, most older diesel engines are more mechanically oriented and are generally much more simple to insert into your chassis of choice. For those of you who have never done a motor swap, you will quickly find out that one of the most hated processes of a swap is the wiring. A really nice thing about the older diesel engines is that they have very little wiring to deal with. Make no mistake; there are no older diesel engines (that I know of) that can get the same fuel economy as a newer, more modern diesel motor. Even still, they do pretty well. Especially if you balance a decent sized diesel engine with a well-balanced vehicle. Plus, if you take into consideration the cost of a newer diesel (motor or complete vehicle), versus the cost of an older one, you will find that you would have to burn a lot of diesel fuel to make up for the difference you will pay for a new setup. 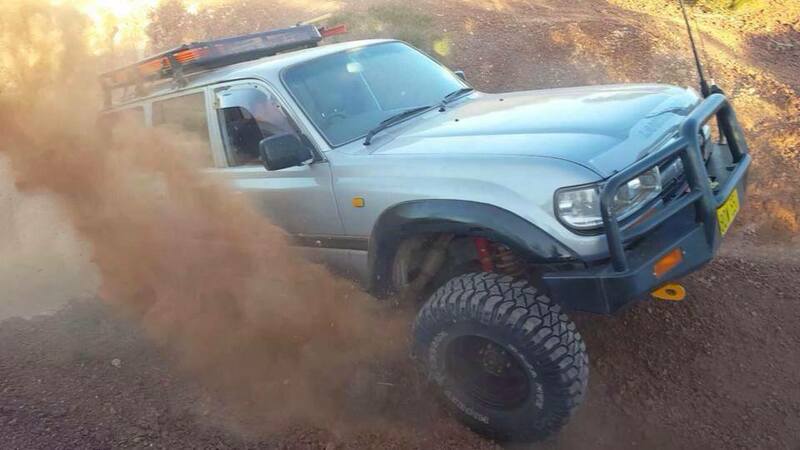 Modifying our 4x4’s seems to go hand in hand with wheeling them. This is one of my favorite parts of using older diesel engines in off-road rigs over a newer diesel motor. 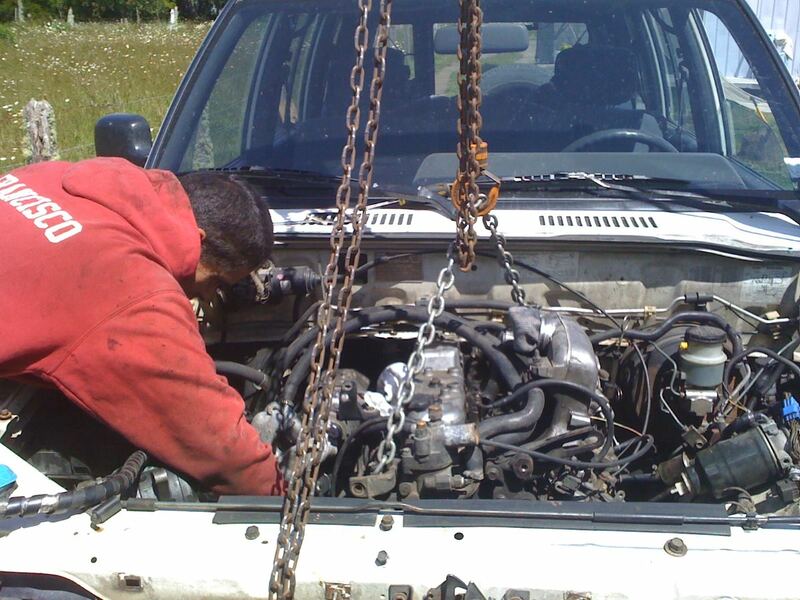 Older diesel engines are generally extremely easy to modify. Since a good number of these older diesels are known for being well made, adding a larger turbo, tweaking your fuel pump, removing your EGR system, and other similar mods are easy to do without too much worry about causing reliability issues. This not only makes these older diesel engines fun to mess with, but also gives a larger versatility to your rig. An added benefit is that you do not have to pay others to do as much of the work either. Photo by Kwai Chang Caine. Remy Young's 80 series Cruiser. Since these machines are so simple in design, they are generally fairly easy to fix when a bush repair is needed. 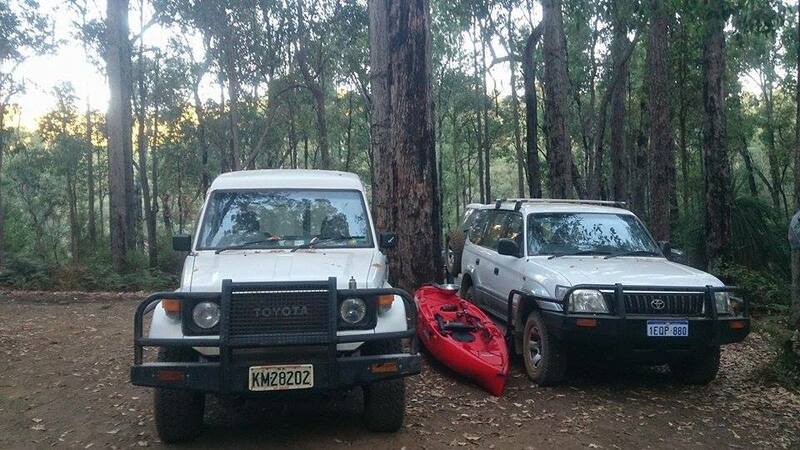 By having a few simple tools, some spare materials, and carrying a few well thought out spare parts, you could just about rebuild one of these diesel engines out in the bush. Not that that is suggested of course. Easier To Find Replacement Parts. If you can get your rig to a local farmer or to the next closest town, there is a good chance you will find someone who has one of these old diesel engines sitting around somewhere. Of course, this is only the case if you have a common make. If you are running an obscure, extremely rare diesel motor, then you may want to reassess the situation and invest in something different. Still, common diesel manufactures such as older Toyota's, Nissan's, a few Mitsubishi’s, and even some Isuzu/Holden’s can be found on farms or in small town’s wrecking yards. They are reliable and economical, so farmers usually keep them around for a good while. This makes buying an “emergency need part” much easier to find over a needed part for one of the newer diesel motors. It is true that many farmers may have newer diesel vehicle on the farm too. However, I am pretty sure that they will be much less willing to break a new vehicle and sell a part than they will be to pull a part off an old farm vehicle for your emergency need. It’s just a “new vs. value vs. need” situation. Remy Young's 80 series cruiser. Photo by Remy Young. 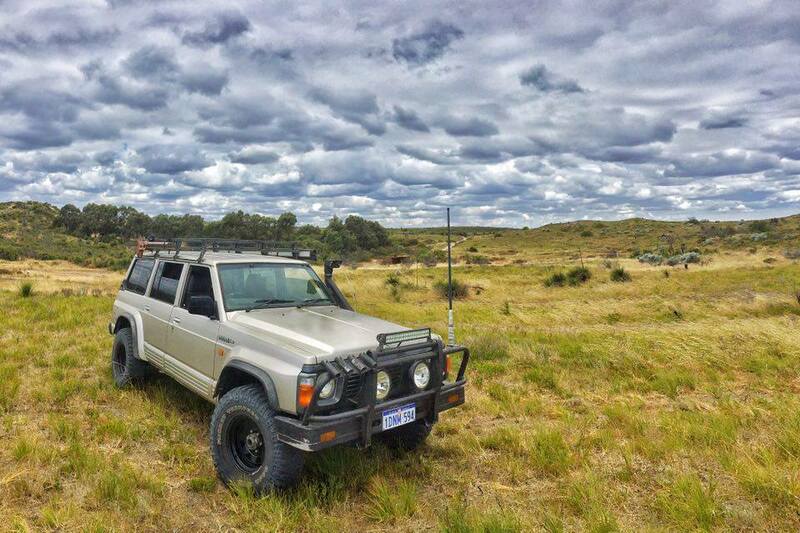 Taris Behrendt's 60 series Cruiser. Photo by Taris Behrendt. General Off-Road Prep And Performance. Older diesel engines don’t have the same RPM range, horsepower, or lightweight design, of their newer siblings. Still, they do perform very well under most off-road conditions. Deep low-end torque is in their favor, for instance. Plus, their heavy (due to construction materials), sturdy, design is what makes them resist and endure the off-road abuse that they receive. Being so mechanically oriented makes them a bit easier to prepare for water crossings also. Since there are less electronics, there are fewer connections to seal, and to make sure that stay sealed. All it takes is one broken seal, and you could have an electrical problem for some time. Not to mention, a worst-case scenario, of your rig stopping dead in the middle of the crossing. In my book, the fewer electronics to seal and protect, the better. 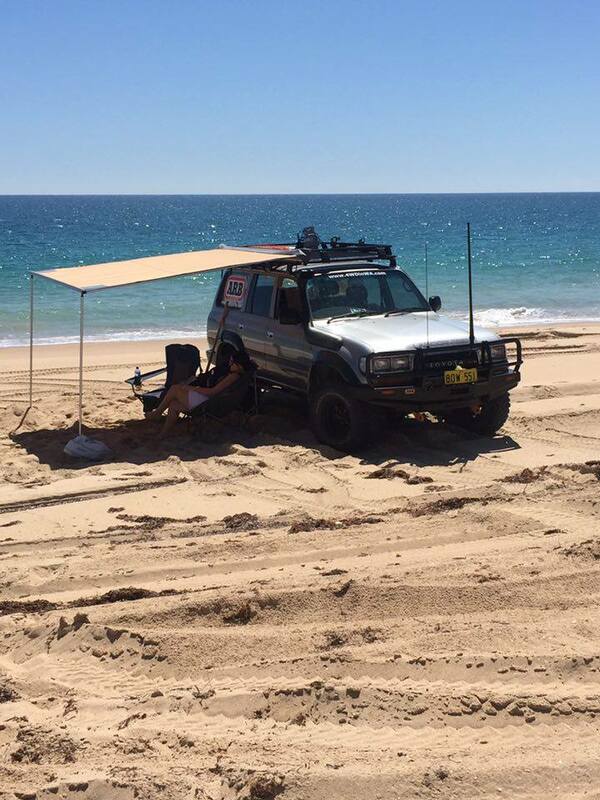 At the end of the day, only you can find the balance of what is best for your off-road vehicle. 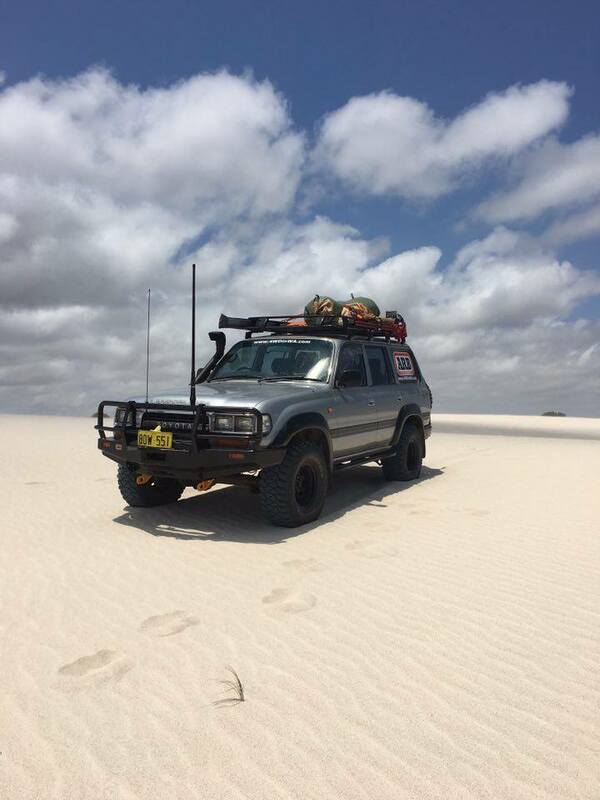 If you want a simple, easy on the wallet, easily modified, super reliable, decent powered, and easy to maintain off-road diesel powered vehicle, one of the older diesel's may just be what you should start combing for. 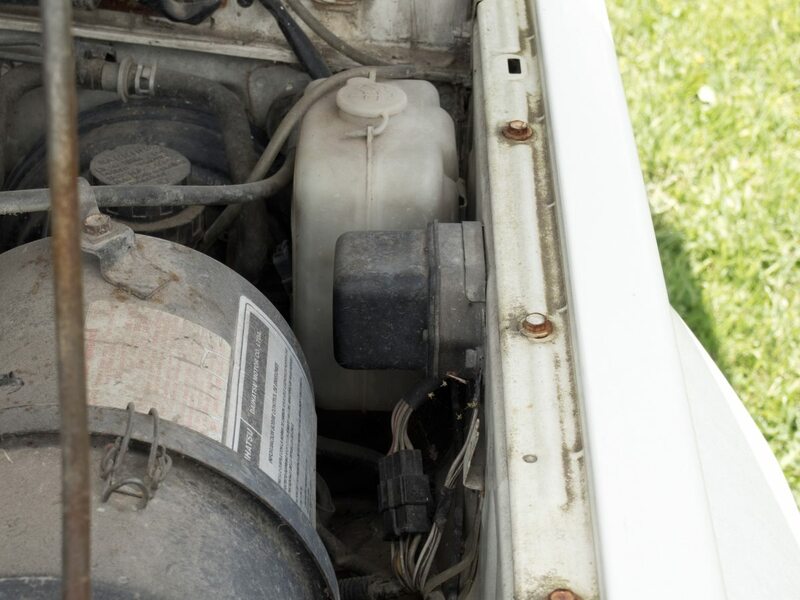 A good rule of thumb to keep in mind is, when referring to a reliable and well-powered “older diesel motor”, look for something that was produced between the mid 1980’s to the early or mid, 1990’s. There are a few nice and simply designed late 90’s diesel motors out there too, but they are harder to find. Just remember to take some time, do some research, and educate yourself before you buy. 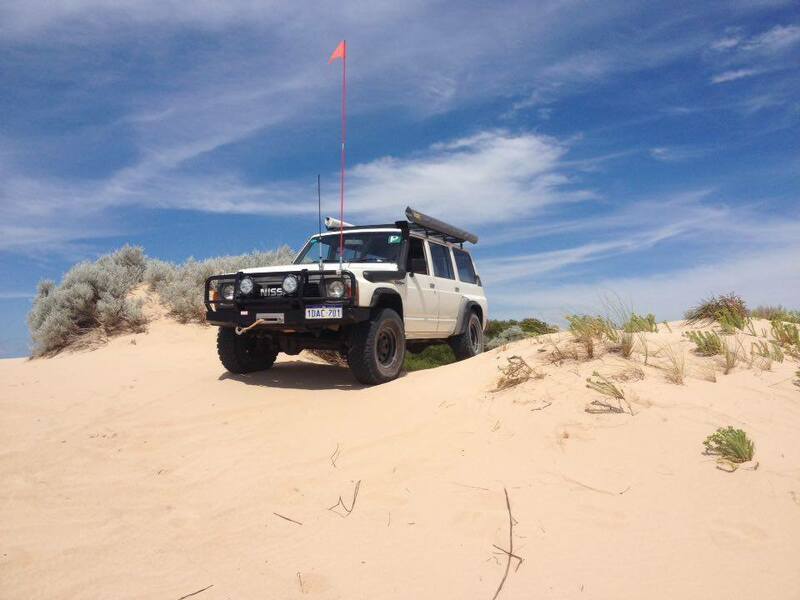 Leave Diesel Motors And Go 4 Wheeling In Western Australia. Go To 4x4 Engine Modification.